The prairie dogging, as I call it, of the beer industry and pundits therein, to announce that Women Should Be Included. They pop up once in a while to restate the obvious that they aren’t seeing: women like beer (in so many words) or that the Future is all about women. Yet….the industry as a whole does little, if anything. My book covers a great deal of ground on this very subject: women + beer. It’s the ONLY book and resource of its kind to discuss in-depth research of women’s relationship with beer. It’s a tool & beer marketers dream. The book all beer pros need. Research based, chock full of insight and never before published data to help those who really want to court the population of women into beer do it best. What’s laughable about it is that it’s not a new idea: women & beer. Whoever thought and still thinks that women aren’t involved in beer has their head selectively in the ground. They’ve always been involved. Drinking it, making it and providing it for the family, a safe low alcohol (much lower than modern Western breweries) beverage to drink to stay hydrated. While I jest that it’s laughable, it’s frankly appalling. I’m a positive person and Every Time A New Article comes out on women & beer, it makes me roll my eyes and slap my forehead. It’s like announcing that you’ve realized that men like pasta – Wait, WHAT!!?? They do?? Stop – or start – the presses!! Sheer nonsense…..taste buds are not delineated by gender. Period. We all want flavor and to explore and to be respected for our time, attention and business. Ain’t nothing new about that idea. Women + beer have been here all along. It’s up to the beer industry to SEE the relationship – then do something about it. Get the book. Get ahead. Get it right. 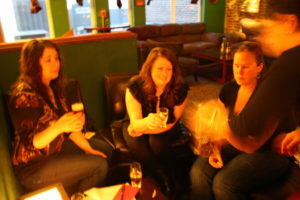 Women Enjoying Beer works with select clients in the business of beer who want the leading expert on how to successfully market beer to women. We don’t provide overall brand marketing strategy; we provide marketing strategy and tactics on how to specifically market beer to women. We don’t provide SEO or so-called ‘social media’ consulting; we provide specific insight on how to market beer to women with a variety of tools based on almost a decade of data-backed research. We don’t provide RFP’s or proposals; we offer specific marketing expertise via a framework within services proven to work for beer businesses who want the very careful and narrow focus of our expertise. If you’re in the business of beer – not the romance – and want to hire the world’s expert in effectively marketing beer to women, call us. So what is the opportunity to market beer to women? Connect the dots and find out. Pints up to Gretchen at Tiny Blue Sky for inviting me to be her guest on today’s published podcast talking women & beer. 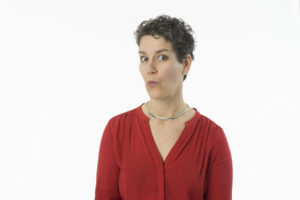 She’s a pro, asked creative questions (which this interviewee loves) and was a good sport. Here’s the episode for you to listen to and share. Call to book Ginger for speaking engagements in 2018 as well as for media and press inquiries. With props to a few recent journalist colleagues, I want to write about Press & Media as it relates to business development today. Thanks to PlateOnline, specifically Editor Chandra Ram & Writer Liz Grossman, for slogging through some tech glitches to make it happen and putting forth this article, which I’m very happy with. Since the subject is never part of the final editing, I’m always extra grateful for accurate and well-constructed articles and video. This is one of them. It’ll be one I share often and generously, since I feel very well and accurately represented. Thanks to Jason Spencer, host of Restaurant-Radio for this very fun interview as part of his podcast series. He is a great sport, open-minded and fun – qualities that only encourage me to be more available to people like him. People who are not so entrenched in what they think as they interview; leaving room for growth and mind expanding ideas, even if they aren’t in agreement. Journalism isn’t about agreeing; it’s about accurate reporting and story telling. Thanks to Morgan Child for this well-written piece. I appreciate journalists who are willing to tackle potentially sticky subjects. To me, what I want to read holds a few characteristics: accuracy (or at least it feels a balanced and fact checked), well written (proper grammar and spelling isn’t to be taken fro granted! ), and a sense of story and fun. It has to make me think in some way too, recreational and otherwise. Thanks to Tom Franke for starting the connection trail with Jason; Thanks to the CIA at St. Helena CA for providing the opportunity to meet Chandra at a previous event. Life and business is always what you make it. Learning how to connect, learning which connections are wise and which ones you can let go are highly useful skills to develop. You have to recognize early in any career and endeavor: when you talk with any media and press (voice, email, text, any platform), they ultimately decide what gets published. Be prepared to be on point, know what you’re going to talk about, regardless of what they ask you and keep bringing it home – all while expressing a genuine appreciation for their time and invitation. If you don’t want to be quoted – or mis-quoted – don’t share something that could be misconstrued. I often ask the writer for the ability to review the article, where it concerns me, to make sure what I told them, what they recorded I told them, is accurate. I’m not interested in being their editor – I am interested in making sure what I shared got across properly. Many have been very agreeable to this, the ones who also strive for accuracy in their work. One of the very first interviews I had for WEB was totally messed up; even though I even supplied a fact sheet to the ‘writer.’ I learned from that instance that not all press is good press by a long shot. It’s impossible to get out from under inaccuracies published since retractions and corrections don’t really help the original reader. 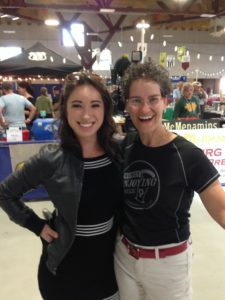 One of the fine journalists I’ve been fortunate enough to work with, at Umpqua Brew Fest. I’d also encourage you to vet media before hand, to see what they’re after and if there’s a fit. 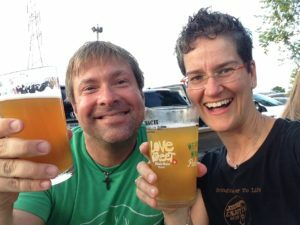 I recently turned down and offer to be interviewed for yet another Women In Beer article. At this point of the game and life and the beer scene, I find those articles are counterproductive. They’re not highlighting the right things, in my mind. I called the writer who proposed it and told him what I was up for (to be interviewed for an article that simply highlights people, gender is incidental even if it were to be all women). I called the editor, who has been good to me over the years and with whom I’m friendly, and told her my perspective; and that if she wanted to push a new envelope, getting rid of featuring gender v talent and initiative, I’m in. Can you imagine an article featuring men in beer? What would the uproar be? Male, by the way, isn’t default. So why not let default mean everyone? The extinction of sexism will happen with the proactive stance of making sure the focus is well balanced and include a variety of people, on the front end with thoughtfulness and intention. 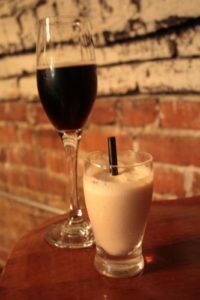 It always feels like a consolation prize: Oh you’re a woman in beer, isn’t that novel/unique/different. No, it’s not actually, women have always been involved in beer….I digress, though I think you can see my point. Media and press isn’t an entitlement, it’s a gift. Treat it as such. Choose it wisely too. Decide which relationships you want to foster, treat them well and the kindness – and business boost – will usually be reciprocated. Thanks to the above, and many many more over the years, for their gift of opportunity. My YouTube channel has some more examples; my TED talk is a zenith example. I’m ready for more. Who’s in need of a lively and educational article right now? Get in touch. What is life like with beer in it? Said another way, how do we look at life if we are looking with a beer lens? Beer is truly global. If we were to take an earnest look at what and how beer impacts life, we could see several opportunities. Here’s a short list. How can we improve equality, equity and societies with the beer lens? Branding, images and language would be the first arena to tackle: a comprehensive review of all names and labels would be a very productive place to start. Keep the good stuff, ditch with the bad stuff and move onward and forward together. By only using helpful and positive language and images, by changing up questionable graphics and words, by we immediately raise the bar for everyone. It’s also great business: respect resonates with everyone. By shifting our outlook and attitude, even slightly to recognize what is good for all through this minimal and very doable change, would be a big impact all on its own. And for the record: ensuring everyone is invited with smart language and graphics isn’t neutering or even loosing your brand personality – it’s an enhancement of brand when done thoughtfully. How do you look at life with a beer lens? The beer lens is an interesting one. 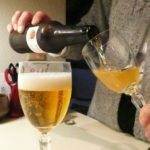 Many people who are into beer are fanatics, enthusiasts, geeks, nerds – whatever you want to use. Yes, those are labels – though most seem to proudly sport the title as such to meet and cohort with other beer lovers of the same passion level. It’s usually fun to see since there’s a lot of happy surrounding getting together with others ala beer. Most people know something about beer. In my research into beer and people (specifically women, though observationally men too) darn near everyone has some level of recognition of beer, however new they are, however experienced they may be. It’s a common idea which we all seems to have our own definition thereof. I find when people engage in beer, where ever they are literally and figuratively, they seem to come together. we find the common ground, for the good of the whole, which absolutely moves us forward. And in that realm, the beer lens can be used constructively for us all. Frankly, if brands want to insult and use stupid names, they don’t deserve the bandwidth and attention of any potential customers. I’d question why they were in the business at all. That’s not business – that selective ignorance and blatant stupidity. Review your brands, language and images regularly. I’d recommend a quarterly review, involving varied staff and customers alike. They both have powerful, useful input brands should be listening to. This can help ensure the invitation to engage for your ideal clients; never turning off or insulting any audience. You can still be you, you can still be strongly and unapologetically your brand in doing so. How Do You Innovate To Attract New Customers? Innovation happens in every part of business. So what would it look like for beer businesses to truly innovate? Adding ‘new’ or ‘different’ ingredients isn’t innovation: that’s recycling previous ingredients from times past. Adding new beer to your brand isn’t innovation; that’s building your portfolio and inventory. Adding different team members, either to truly add or to replace, isn’t innovation. Unless you let them really think for themselves, unless you encourage their own way of thinking. Bringing on a new team member to perform the expectations you already have isn’t innovation; it’s filling an existing post. Where the beer industry can innovate is to invite everyone to the conversation. Where the beer industry can innovate is to bring in specialized experts to help expand the field of vision & see possibilities where none have been seen before. Often only someone outside your organization can see them. That’s part of the value in hiring experts. To innovate for beer would mean that the best of the best would guide the industry – forward in diplomacy, equality and equity, QAQC and various areas of the business arena. This is innovation within an industry. True innovation for beer would be that everyone who has a stake in beer professionally – makers, growers, sellers, publishers, everyone – takes their consumers seriously. That they would truly see what matters is willingness and ability to engage; that taste buds and brains are what we are all after for ideal clients. So many upsides, very few downsides make this innovation easy and straight forward. You’re putting in the time, effort and dollars anyway, yes? Make them matter more significantly. 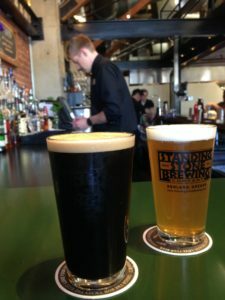 With so much beer in the world right now, how do you differentiate beer from other beverage choices? You innovate, in truly innovative ways. One way for beer to innovate is to work with (read: hire) experts with very specific knowledge & skills – knowledge & skills no one in the employee team has. Innovation requires disruption, in the best ways. Innovation doesn’t have to mean throwing everything out and starting over. Innovation happens incrementally and exponentially and everywhere in between. You get to decide how you want it to happen. Do you want improvements now – or do you want to wait, protracting the agony of not innovation and staying stagnant or at least not moving forward? The investment is your time, effort and money now for productive change – or to wait for ‘a while’ and still be in the same spot? When you want to know more specifics, contact me to set up a time to talk about how we can work together to amplify what you’re already doing, maximize and change as it will drive true innovation for positive progress. How do you create strong presence and brand success across markets? Show up strategically. Set your brand growth strategy in the markets that make sense for your brand. Do your homework to vet markets properly. Don’t show up carelessly. Avoid the markets that make no sense for your brand. Do your homework to vet markets properly. Take full responsibility for your brand growth. Carefully vet, interview and select all brand partners. Steady, smooth, deliberate growth is a trajectory most businesses can support. Once a market is identified, dedicate yourself to true market development. Better still, in your strategy dedicate specific funds to ideal client development. Set yourself up for success by doing well by the markets you’ve chosen, not getting distracted by the kind of albatross-like “growth” some companies find attractive. Keep your own objects shiny. Polish what you have, keep it running well, maintain and flourish where you choose to plant your brand. Customers, ideal clients among them, want strong and steady. They want brands they can count on, they want go-to’s to buy and sip and share. They deserve your respect and in earning it, they’ll reward you handsomely. Set your course, stay your course and build your brand. What if you knew exactly what your customers thought about your beer, really and truly knew? What could that do for your business? Maybe you think you know now…if so, tell me: where do you garner that specific data (aka insight)? Do you have real conversations in person to ask them questions? Do you buy data that supposedly tells you what they think? How do you come by this information? What do you then do with the information you have? How do you apply it? What do you use it for? How is it a useful tool for you? And when does it get put on the shelf and ‘away’, for another time? What if you had regular real-time live in-person conversations with your ideal clients? Not just your average customer – not the one the statistical data tells you they are; the ideal one – the real flesh and blood person who buys and drinks your beer? What would that look like? This insight comes from market research. Market research is only as intensive and expensive, surficial and inexpensive as you want it to be. To the raging misnomer of market research being expensive I’d reply: it’s going to be waaaaaaay more expensive to NOT know, than it is to know. And it’s pretty damn economical – big ROI – when you do it right, no matter the dollar price. Simple, straight forward, regular. We’re talking ling term business success. When you want to know how to best reach your customers, talk to them. Open ended questions to every day drinkers (aka ideal clients) of your beer will yield rich insight you can’t get anywhere else. When you want to know more tactics on how to talk with your customers to garner the most useful insight, feel free to be in touch. 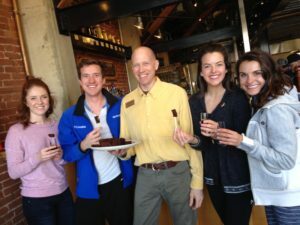 I help beer focused companies do just that: know their customers. Consumer insight on beer is necessary to survive and thrive. In a market place continually flooding with more choices, it’s tantamount to staying in business. The great news: it’s not hard nor need it be expensive. Just know you need to do it. If you were a beer, what kind of beer would you be? While it may seem like a silly question, think about it from a customer perspective. When you ask people – customers – what’s your favorite beer, you’re creating a boundary of thinking. You’ve asked them to name the specific limit of what favorite is to them. And you’ve done it with perhaps no context. If you ask someone to tell you their favorite beer, you’ve asked them to make an absolute choice. That’s not the right tack to building both stronger ties with ideal clients and with future customers. If you were a beer ingredient, what would you be? Where do you come from? 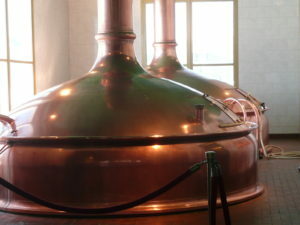 Why and when are you utilized in the brew? 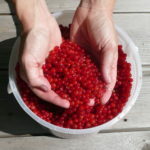 What flavors do you impart and when? What do you enjoy about being part of a beer? What food do you like hanging out with? When do you like to pour on your flavor? When would you prefer to not show up? How do you like to be appreciated? Open the border of what beer is and can be. Set it free from the constraints of ‘favorite.’ In my book I take the industry to task for using ‘favorite’. It’s so limiting. If you were a beer and you were only mentioned as a favorite, how would you feel? Limited? Exclusive? Special? Caged? If I were a beer, I’d be a go-to, a well-made balanced crowd and taste bud pleaser. One that many people smile upon hearing my name or tasting my flavor. 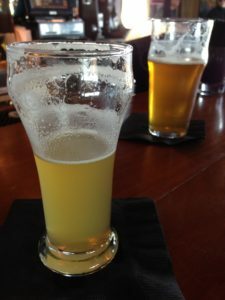 In every instance, everyone in the industry needs to be open-minded to beer, overall for the continued success of what the beverage is to humanity. Placing limits on beer is a dead-end. So – let me ask you again: If you were a beer, what would you be? p.s. you can remake the sentence to fit you, not simply to fit what someone else asks you to be. What Do You Want To Know About Beer Marketing? Go ahead – ask me about marketing beer. I’ll reply to everyone, publicly so we can all benefit. Now’s your chance. 100% open, complementary expertise and advice on marketing beer. beer goes with humus and pickles and tofu. Beer goes with friendship, camaraderie too! beer goes with autumn and winter then zing! beer goes with birthdays and funerals and blues. there’s beer to be had. know beer is for people and keeping in touch. to have us all sit down, and get to know one another. we’re stronger side by side. When we go to our fridge to choose a beer for our evening’s enjoyment, there’s always a moment of pause as we read the label. Almost all beer labels are miserably lacking in flavor descriptive words about that beer. What could these labels share to entice via flavor words (caveat: color isn’t flavor)? There’s no good reason. It needs to change. Beer needs to be described by its flavors; not by the strain of hops or the how it was made or how much the brand loves their own beer. Good grief. Beer companies need to describe the beer by its flavors and in plain language. Esoteric words are usually unhelpful, since what you should try to do with the precious label space is to entice and invite the customer based on the attractive flavor words printed. Beer labels can do way better. Simple easy tweaks of including flavor words, getting rid of the unhelpful other words that can be on your website instead, will in fact get more people trying and returning to beer brands. 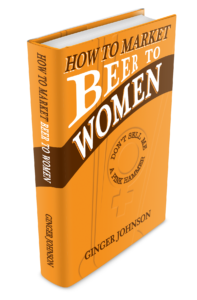 The world’s first and only book on how to market beer to women is now available – How To Market Beer To Women, Don’t Sell Me A Pink Hammer. One of my favorite parts of the book is the chapter wrap-up, the What You Can Do Today section. I designed this section to be the workbook portion – the action, Ms. Jackson – in each chapter. The What You Can Do Today section offers 5 specific actions you can take for each chapters’ specific insight. For example, Chapter 4 is Convincing Reasons To Try A New Beer. One of the five WYCTD tactics is Play to her sense of curiosity. Humans are obviously curious beings. We are always seeking new and different in life. Curiosity therefore is a goldmine for beer companies, and all companies really, to tap into. What is she curious about, about beer? How can you answer her questions, diplomatically and educationally and enthusiastically? What can you share with her about your beer that she doesn’t already know? What isn’t on the website, your online channels and in the heads of your team that you can share with her through these various marketing opportunities that will keep her interested and hungry for more knowledge? When have you asked your female beer drinkers and buyers what they want to know about your brand? Curiosity is powerful. It’s a powerful ally to building better marketing. Marketing is communication and when you go right to the source – right to your ideal client to ask her why she participates in your brand at all (or doesn’t) – you tap into your own curiosity so you can better satisfy hers. Curiosity is good and necessary for strong marketing endeavors. To have more questions than answers is best. It indicates a continual thirst for knowing more, for you first to serve your customers; for your customers next so they keep coming back for more. The book is available here; we ship all over the globe. Watch for an audio recording to be available soon as well. What you can do today is to get the book to help strengthen and amp your overall marketing efforts. Your beer drinkers and buyers are ready, curious and waiting. One of the smartest and easiest tactics to improve your market share is to do more with what you already have. The premise here is that you are willing to closely examine what you do have and delineate what should stay and what should go. What works. Knowing ‘it works’ isn’t enough though; you have to know why. Examine what works and why it works. Be sure to have a hole-shooter to vet all possibilities on why it works, so they are intentional and useful reasonings, never happenstance and by-chance. What isn’t working. Knowing it ‘isn’t working’, again, isn’t enough. You need to briefly look at what isn’t working to determine why it isn’t. Even more so than to re-endorse what is working, examining what isn’t working is crucial because you may find a simple tweak can go from Not Working to Working status. Be detached from the outcomes. Detachment isn’t disinterest. Detachment is the ability to objectively find out what does work and why, deciding what doesn’t and why, and moving toward continual improvement of what can work. Detachment makes it easier for you to be tied to the end results, not the specific measures in getting them. Be motivated for results. While marketing can’t always be measured as we want – clear, concise and specific – it’s nonetheless fundamental to successful operations. Be motivated by the results you want to have and let that motivation guide you forward in your decision-making processes. Interviewing and hiring pros who can help you think through the process is often an excellent investment, since they are very experienced to do so – therefore making you more money and amplifying your efforts (and paying for their services easily along the way). What else can you do with what you already have? Doing more with what you already have is attractive for several reasons. One, you can keep using what you do have, reaping better benefits from the investments dedicated in those efforts. Two, you can release what isn’t working. Three, there are always new ways to parse an existing effort to enhance, add, subtract and otherwise modify the core mechanism to new ends. I once met with a client and we cleaned her advertising slate of $2000 of relatively useless conventional ads with this simple conversation. We immediately saved her $2K (!) with a clear conversation of what was and wasn’t working. This freed up her money and more importantly released her from her ‘you should do this’ thinking that those things worked. If they aren’t working, change it! What could you do with $2K/month? Doing more with what you already have is also a great team building effort; team building = where your culture comes from. Gather the troops, dedicate a set amount of uninterrupted guided time to examine what you’re doing already, brainstorm on ways to fully maximize these efforts and get every body excited to contribute to the continued and growing success of your endeavors. Maximize what you have before adding more. Seemingly small changes can generate big positive movement. Hire the right pro to help you do so and you’ll see more happy customers support your business. When you know who your ideal client is – what is that persona [specific attributes] of who you want engaged in your brand – you can get really clear on your marketing strategy. Strategy is the road map; your trip (business goals) planned out. Tactics get plugged in after the broad scope strategy is mapped out; tactics are the actual steps to how to execute your marketing plan (strategy). Are you seeing how it’s all related? Plans lead to maximum return on investment of effort with proper forethought and investment of time, talent and energy. Then your dollars and time go farther, as you’ve got a clarity and directions you’re going. On purpose. For a purpose. Marketing is a necessary part of all businesses. Only fools think you don’t have to, need to market – or that it’ll all happen via word of mouth. Word of mouth is still the result of your marketing efforts, no matter what they be. Some beer businesses wrongly think that having or making beer is enough. It’s not. Simply having isn’t marketing; it’s only having. All business entities, of all varieties under IRS codes, must make money to survive. Whether you’re granting it all out to others, or plowing it back into the entity or keeping it for yourself. making money – making progress and staying in the game you’ve chosen to play – is the name of the game. Said another way, smart business that happen to be in the beer world, understand marketing for its elemental contribution and seat at the table of the entity. It’s why you are in business to begin with – who is your market – who are you serving – who do you do what you do. That’s all marketing. 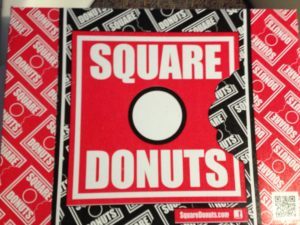 Marketing is essential to all business endeavors. Heck, it’s part of personal endeavors as well. Communication always has been and always will be. Marketing beer matters. Do it well, do it right and you’ll see what it matters. What Do You Believe About Beer? Having conducted research for 8+ years on female beer drinkers and buyers, I’ve come to a few conclusions. An open mind is the best palate there is. Period. Beer is for everyone who wants to partake. You don’t have to drink beer to enjoy beer. Never trust a fat brewer. Beer and food enjoyed together is a magic combination. Drinking in moderation is always best, for flavor. Getting drunk is not ever the goal. Research on women and beer is fascinating. The research I’ve gathered on women’s relationship with beer can change the world for the better, working with the right clients. There are really interesting people involved in beer, the world over. Women have always been involved in beer. There are a tun of unhelpful, damaging stereotypes and incorrect myths to bust around women and beer. Flavor is where you find it. Drink what you like, support what your friends drink too. What beer you drink is irrelevant to the biggest picture. Camaraderie is relevant. Beer has an oddly inherited fun factor to it. Being a diplomat will always be better than being a snob.